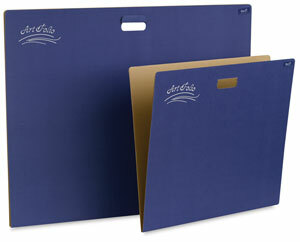 A practical organizer for the classroom and a lightweight carry-all for the artist. Made of rigid corrugated cardboard with a blue outer surface. Sides are open.